Fig. 2. 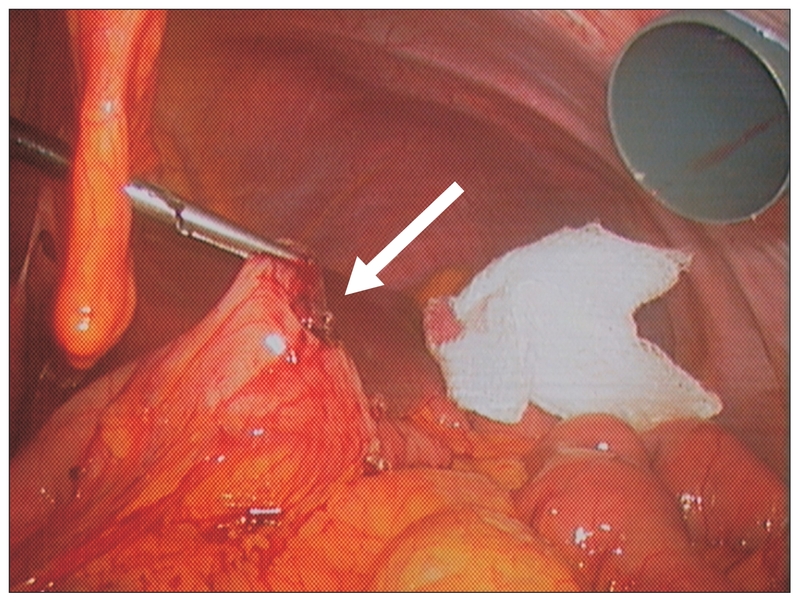 Creation of a gastrostomy on the anterior Wall of the greater curvature in the gastric remnant (arrow).